Air crews were precious. If there was a hope of saving airmen, a rescue attempt was organised. Nowadays, helicopters do a lot of air sea rescue work. In World War 2 helicopters were still in the early stages of development. Airmen who had to ditch into the sea close to the British coast stood some chance of being successfully picked up by a rescue boat. When they had to ditch near the enemy-occupied coast, it was a different matter. The planes carried emergency dinghies but these were very small. In this situation, aircrews could use their radios to send an distress message. If the radio was damaged, many aircraft carried pigeons as an emergency form of communication. Even in midsummer it’s no joke being in the water of the North Sea. In cold water, hypothermia quickly sets in. Your arms and legs lose strength, your mind slows and you lose determination. Help for these stricken airmen had to come quickly. In a period of just three weeks during the Battle of Britain in 1940, 220 airmen were killed or went missing over the sea. This was a huge loss of human life but on a coldly practical level, the hard pressed RAF simply could not continue to fight the war if this rate of losses among aircrew were to continue. For both of these reasons, effective rescue services were urgently needed. field). 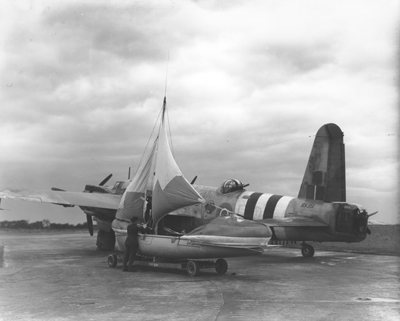 It was made from a cardboard delivery container for a bomb tail-fin, strengthened with steel. 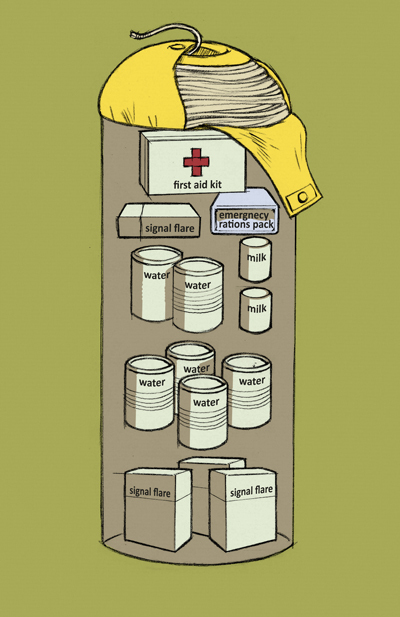 It held signal flares, tinned water, condensed milk, emergency rations and a first aid kit. Group Captain Waring then had the idea of an airborne lifeboat to be carried onboard aircraft and dropped into the sea to help ditched aircrews. However, the requirements for such a craft were stringent. It had to be light and aerodynamic so that it could be carried under an aircraft but sturdy enough to cope with being dropped into the sea at around 25mph. It had to be safe in stormy weather, so virtually unsinkable and self-righting. It also had to have easy-start engines, very simple sails and carry enough fuel to sail 500 miles. And of course, in a wartime economy, it had to be quick and cheap to build. Boat-building expert, Lieutenant Robb, drew up initial plans and celebrated yacht designer, Uffa Fox, developed them. After a long gestation, the first successful lifeboat drop happened on 5th May 1943. More than 400 of these boats were built in small boat yards all over the country. There were blueprints for every tiny component and standards were exact. The boats all had to be identical to avoid confusion and frustration when they were put to use. The airborne lifeboat’s hull was a double skin of mahogany with water-proofed calico cloth between. Eight watertight compartments contained equipment and supplies, an instruction book and the two engines. Each boat was 23.5ft (7.2m) long, 5.5ft (1.7m) wide and weighed 1630lbs (740kg). It had two 4 hp engines as well as a sail and could float in just 1ft (30cm) of water. They received a badge but since it was unofficial, aircrew used to sew it under the lapel on their uniform. By the end of the war there were 9000 members! The airborne lifeboat played its part, saving some 5,721 aircrew lives around Britain. An airborne lifeboat and Warwick of 280 Squadron, Langham 1944. © Trustees of the RAF Museum. 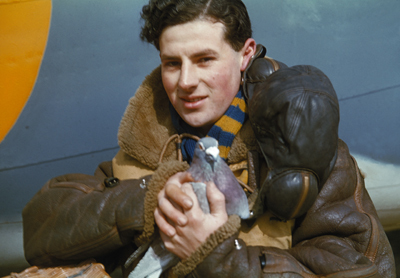 A member of the crew of an RAF Coastal Command Lockheed Hudson holding a carrier pigeon, 1942. © IWM (TR 42). The Bircham Barrel. © Ugly Studios. Not at Langham. A lifeboat is loaded underneath a Warwick. © www.flypast.com. 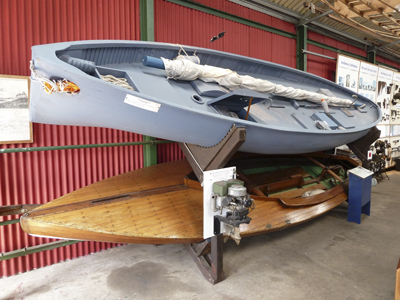 An airborne lifeboat (top) at the Museum of the Broads. © Ugly Studios. 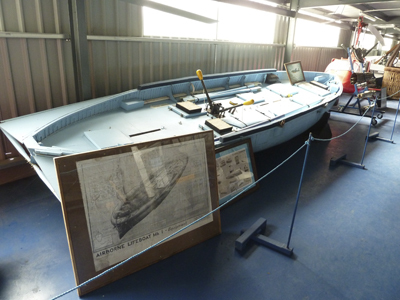 An airborne lifeboat at the Norfolk and Suffolk Aviation Museum. © Ugly Studios. 280 Squadron Warwicks flew air-sea rescue(ASR) missions from Langham. 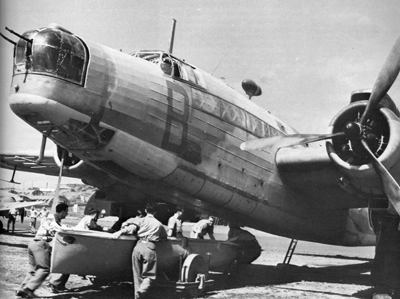 A failed bomber, its success in ASR is often overlooked, along with the bravery of the crews. © Pete West.